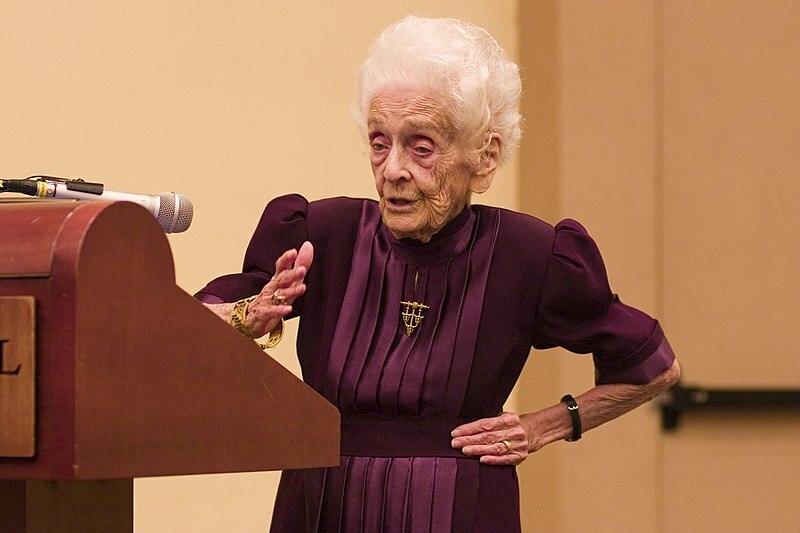 Dr. Rita Levi-Montalcini was a Centenarian Gonzo Biohacker « Adafruit Industries – Makers, hackers, artists, designers and engineers! 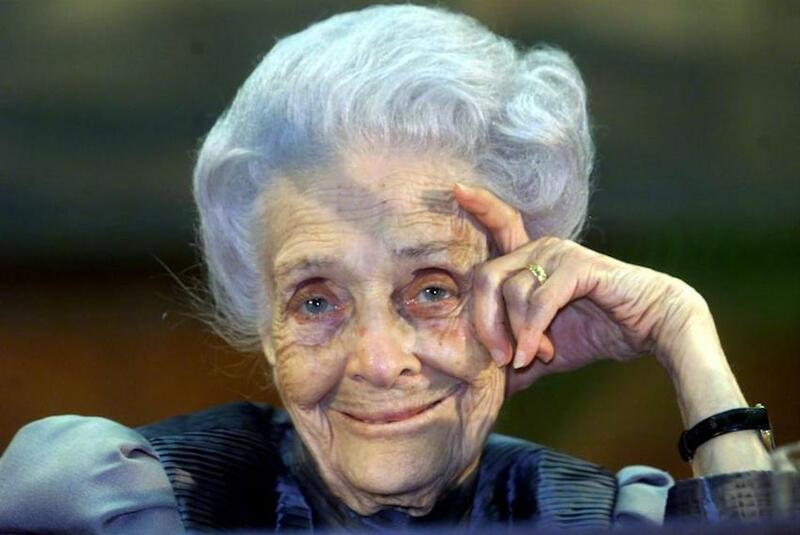 It is difficult to imagine how a 103 year old nobel laureate was able to crank out high quality research papers, but that is exactly what Dr. Rita Levi-Montalcini did. 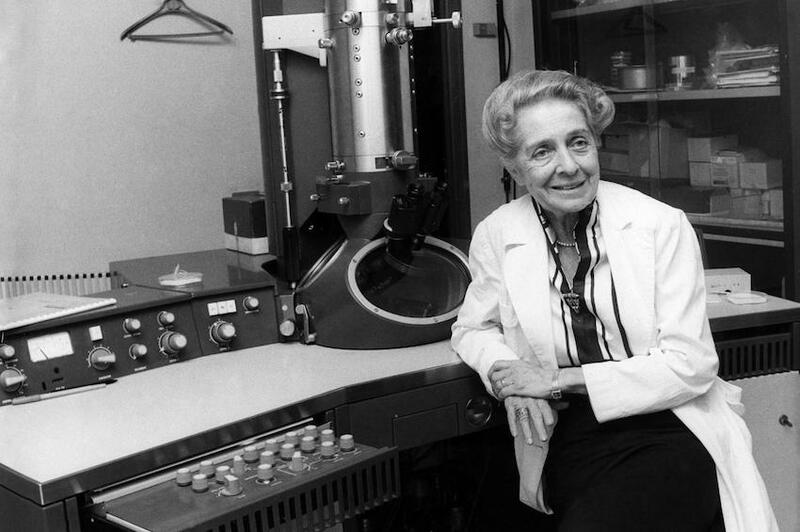 Her research started with chicken embryos in her bedroom during World War II. This work led to the discovery of Nerve Growth Factor in 1979 and a Nobel Prize was awarded to her and a colleague Stanley Cohen in 1986. While researching cancerous tumors Rita observed nerve bundles growing near the cancer cells. She realized that the cancer was producing a peptide (a string of amino acids) that were accelerating nerve growth. Here is the gonzo scientist part of the story. She decided to isolate the peptide and start taking it with the other researchers. Most peptides are too fragile to survive our digestive track so they took them in the form of eye drops (200 micrograms) everyday since the mid-1950’s. This form of dosing allows the peptide to cross the blood brain barrier by going through the optic nerve. NGF eyedrops are available today, but would currently cost $300 a day to take. NGF is thought to have cognitive benefits around learning by extending the life of neurons. Did Rita live a long successful life due to these drops? We really can’t even speculate on that, but it is a fascinating story that I think many Biohackers can relate to. We create tools in the form of software and hardware to experiment on ourselves much in the same way that gonzo biohacking Rita did. It is important to note that before Rita passed away in 2012 she was the first nobel laureate to break 100 years of age and the oldest to still be productive.